Everything Jason Bedre touches is a work of art! 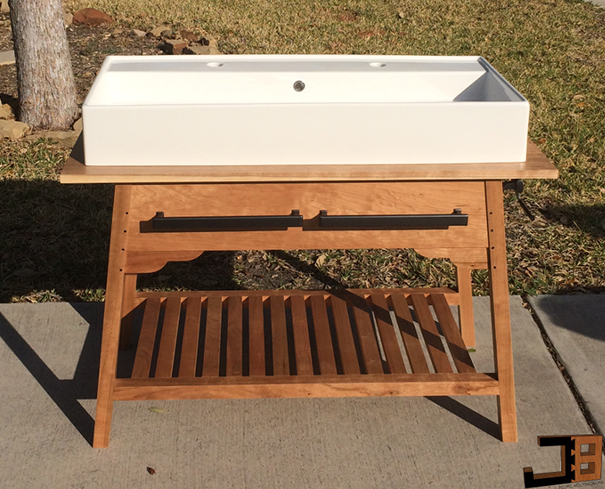 This solid cherry craftsman style vanity was built by Jason and sealed with General Finishes PreCat Urethane. Pre Cat Urethane has been discontinued. We recommend using High Performance as a water based sealant that dries clear, or Enduro-var as a water based sealant that ambers. Let oil based finishes dry for 72 hours before adding High Performance. We do not recommend using Enduro-Var with oil based finishes.